Our new version XLSTAT 2019.1.2 is now available. Because our new maintenance release will allow you to access improvements, advanced options and increased performance, we recommend you update to our latest version. Load csv or text data files with millions of data points and run a Linear regression. Available under the Modeling data menu. The Cholesky (Eskow & Schnabel) method has been integrated to deal with saddle points during the convergence of the Newton-Raphson algorithm. Compute t-tests and F-tests for fixed effects using the Satterthwaite formula for denominator degrees of freedom. Appropriate for mixed models with unbalanced data or complex covariance structures. It is now possible to choose between ordinary least squares or MIVQUE0 starting values for the Newton-Raphson algorithm. Computations of random effects have been corrected. 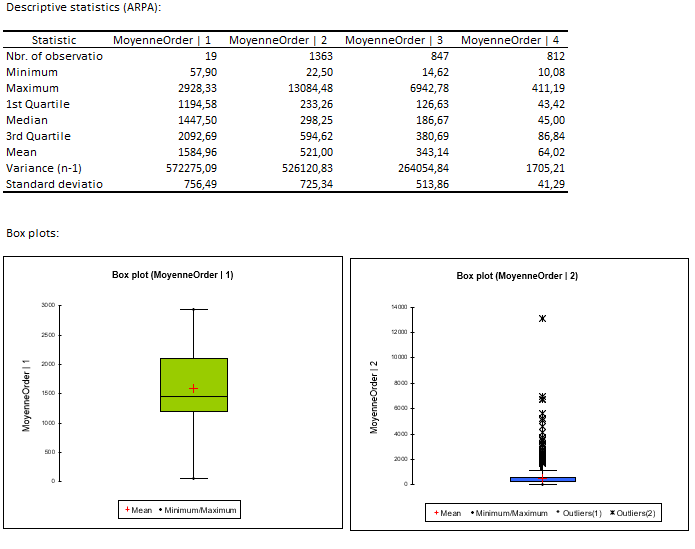 Summary statistics of the Average revenue per account have been added in the output as well as the possibility to generate a box plot per segment. Available under the Marketing Tools menu. You can now select several quantitative variables to weigh the observations. 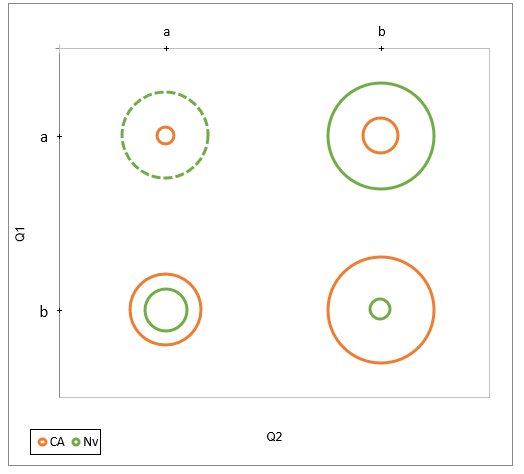 In addition, multiple criteria are available to resize the points on the plot. Available under the Visualizing data menu. Trim spaces from text data, correct space repetitions or replace a text by another. 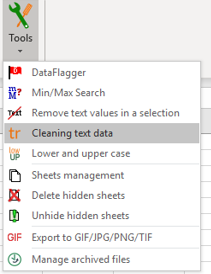 Convert text data to lower or upper case. How to get XLSTAT 2019.1.2?